The team rewiring the grid road lights has reached our Monkston ward at last and many of the lights out on grid roads will be fixed soon. Right: The V11 by Monkston and the V10 by Walnut Tree have several lights needing work. 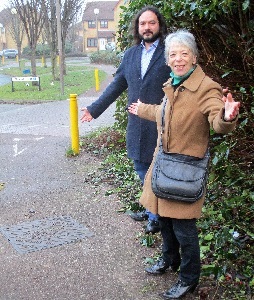 The Focus team has been reporting litter black-spots around the ward, asking MK Council to clear them more often. 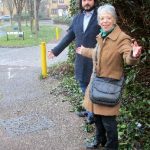 The underpasses near Oakgrove School at Rayners Lane and near the V10, on Monkston Park, and the bus shelter on the V10 by Monkston are a disgrace! Jenni at the bus shelter near Monkston on the V10. 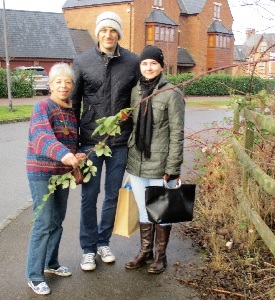 MK Council’s winter pruning of its shrubs and trees is in progress. Hedges in Walnut Tree have been cut, and some other areas have been cleared, but many remain to be done. 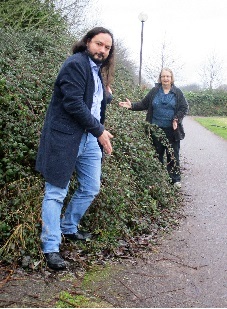 And in Queensbury Lane, Monkston Park, the brambles are uncut. 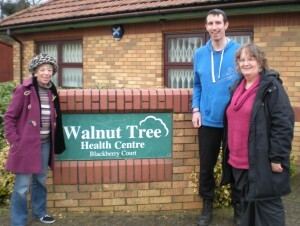 Vanessa and Richard can walk to the shops now from Bluebell Close, Walnut Tree. 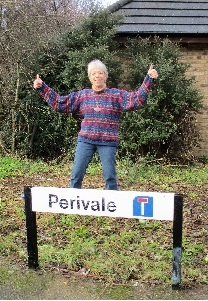 Vanessa got MK Council to clear the branches from the corner of Perivale, Monston Park. In Monkston. 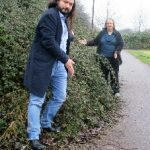 Jenni and Richard have reported several areas of brambles, and are asking the Council to trace the owners of this patch near Wymondham. We have three sets of voting going on soon locally. On May 5th we have the election for councillors on Milton Keynes Council. 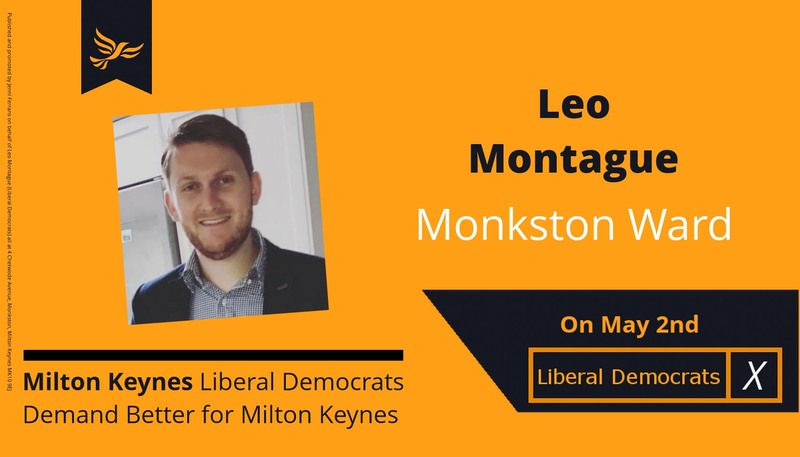 You can see the Lib Dem Manifesto for Milton Keynes here. 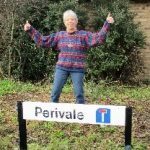 Work with parish councils to keep our play areas. Also on May 5th we have the election for a Police Commissioner. 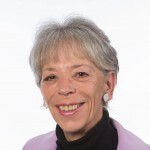 This is the elected person who oversees the Police in the whole of Thames Valley. 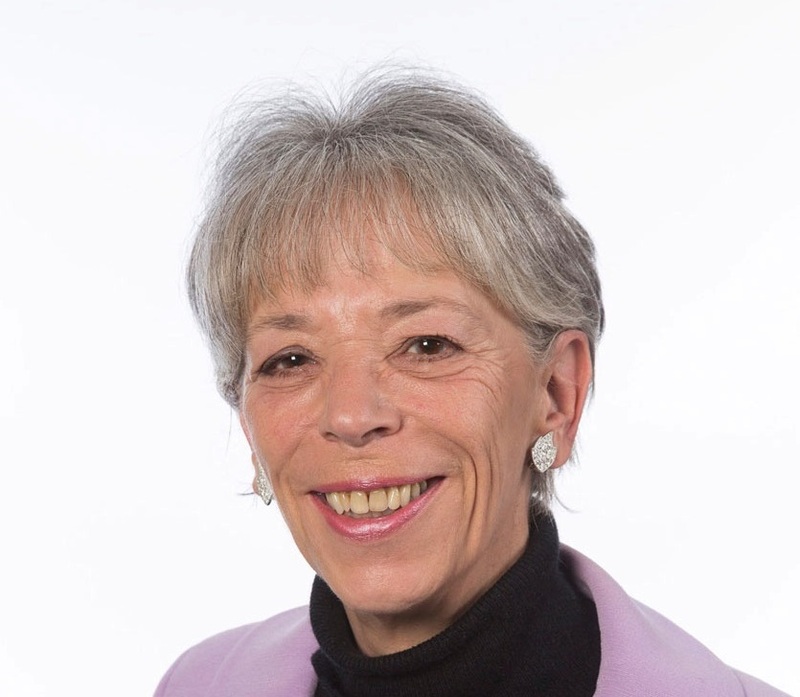 Lib Dems believe that one person cannot possibly represent the interests of such a wide area, but that is the system we have, so we have to work with it at present. Our candidate is John Howson, who is campaigning to cut crime, not constables! He points out that if we can use modern methods to increase detection rates, and use the best methods of dealing with each category of offender to reduce reoffending, then we will reduce crime without needing to spend more! Win-Win! Finally, on June 23rd we have the big one – the referendum on whether to Remain In the EC or to Leave the EC. You can see the Lib Dem party comment on this here. 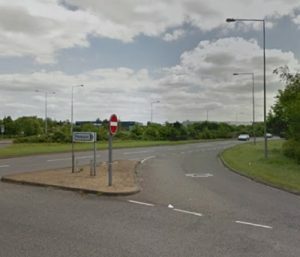 After the Council elections, we’ll put more on this website about the issues for Milton Keynes. The Council has finally agreed to consult on restricting parking on the bend at Lindisfarne Drive, Monkston. They are also proposing double yellow lines around the roundabout with Lanercost/Ulverscroft and across the redway crossing points around the roundabout, to stop people blocking the pathways. The map of the proposed restrictions is here. to be received no later than 16th September 2015 quoting reference PH-S1-TRO-127. 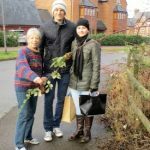 Residents in one corner of Monkston were completely bemused last week. 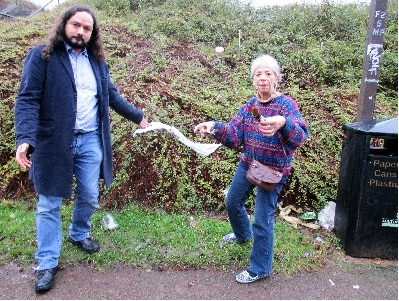 First they were told that their rubbish collection day was moving from Tuesday to Wednesday. And then there was no sign of the rubbish truck! 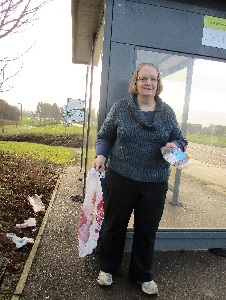 Thanks to the quick action of Cllr Jenni Ferrans their rubbish was collected – on THURSDAY! Please remember: your rubbish should be out by 7am on collection day. The area left last week is likely to be collected much earlier than previously.